Kentucky Drywall Contractor Insurance. Drywall contractors install drywall, plaster, and wallboard to the interior walls and ceilings of residential and commercial buildings for decoration, insulation, waterproofing, soundproofing, or fireproofing the room or area. Exterior work may consist of applying stucco, cement or similar materials to decorate or finish the outside walls. Hanging drywall, taping, and then applying mud to-drywall is a skill learned over time, requiring training and experience. Drywall installers are almost always exposed to injuries that can lead to significant medical expenses as well as lost wages for employees in case an accident occurs. The smartest move a drywall contractor can make is to ensure they are properly protected with an-adequate Kentucky drywall contractor insurance insurance policy. Kentucky drywall contractor insurance protects your business from lawsuits with rates as low as $47/mo. Get a fast quote and your certificate of insurance now. Our Kentucky drywall contractor insurance contractor packages are developed by identifying special needs, as well as potential exposures that you as a drywall contractor may face on a day-to-day basis. Our drywall contractor insurance covers are designed for your growing business. Through monitoring changes in the construction industry, we've developed insurance packages that take into account current new trends in construction, offering you with the peace of mind that you deserve to perform your work with excellence. This means you can worry less about exposure to risk, and focus more on growing the business. 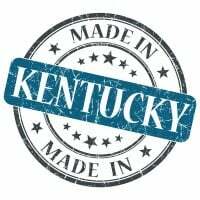 Request a free Kentucky Drywall Contractor insurance quote in Alexandria, Ashland, Barbourville, Bardstown, Beaver Dam, Bellevue, Benton, Berea, Bowling Green, Brandenburg, Cadiz, Calvert, Campbellsville, Carrollton, Central, Cold Spring, Columbia, Corbin, Covington, Crescent Springs, Crestview Hills, Crestwood, Crittenden, Cynthiana, Danville, Dawson Springs, Dayton, Douglass Hills, Eddyville, Edgewood, Elizabethtown, Elsmere, Eminence, Erlanger, Flatwoods, Flemingsburg, Florence, Fort Mitchell, Fort Thomas, Fort Wright, Frankfort, Franklin, Georgetown, Glasgow, Graymoor-Devondale, Grayson, Greenville, Harrodsburg, Hartford, Hazard, Henderson, Highland Heights, Hillview, Hodgenville, Hopkinsville, Hurstbourne, Independence, Indian Hills, Irvine, Jeffersontown, La Grange, Lakeside Park, Lancaster, Lawrenceburg, Lebanon, Leitchfield, Lexington-Fayette, London, Louisville, Ludlow, Lyndon, Madisonville, Marion, Mayfield, Maysville, Middlesborough, Middletown, Monticello, Morehead, Morganfield, Mount Sterling, Mount Washington, Murray, Newport, Nicholasville, Oak Grove, Owensboro, Paducah, Paintsville, Paris, Park Hills, Pikeville, Prestonsburg, Princeton, Prospect, Providence, Radcliff, Richmond, Russell, Russellville, Scottsville, Shelbyville, Shepherdsville, Shively, Simpsonville, Somerset, Southgate, Springfield, St. Matthews, Stanford, Stanton, Taylor Mill, Union, Versailles, Villa Hills, Vine Grove, Walton, West Liberty, Wilder, Williamsburg, Williamstown, Wilmore, Winchester and all other cities in KY - The Bluegrass State.